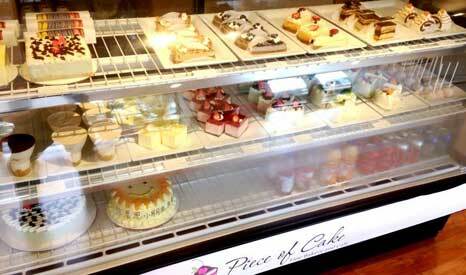 Piece of Cake Fine Bakery & Cafe creates exquisite handmade cakes and desserts and offers specialty, custom cake services. Everything is baked fresh daily and can be enjoyed at Bishop’s Landing in a relaxing atmosphere enhanced by coffee and Chinese tea culture. Piece of Cake offers a wide range of delicious, high-quality custom cakes as well as cakes for birthdays, holidays and weddings.